DNS Accountants is a leading firm of accountants in Bristol and we help small business and contractors manage their business activities in Bristol in the best possible way. DNS Accountants perform accounting tasks for small businesses in Bristol and guide them regarding tax planning and tax filings. 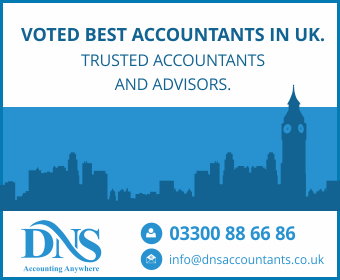 DNS Accountants is ranked among the top accountants in Bristol and we have been capturing the market since 2005 with a client base of over 1,200. Our team at DNS Accountants prefers to work with people who are passionate about their business and have a keen desire to grow. The practice of accountancy and rise of accountants in Bristol can be traced back to 1780 when this profession started gaining popularity amid the business community. The 19th century marks the era of Industrial revolution and at the same time, it led to the increased demand of company’s act and bankruptcy act which eventually led to the upsurge of professional accountancy practices. The profession of accountants continued to grow during World War I and post this era which steered the formation of many accountancy bodies that had their own speciality. CIPFA, ACCA etc. were the few financial institutions that came up. From the early times to modern day, the roles of accountants has undergone a huge transformation from mere bookkeeping to professional business activities like taxation , consultancy and business advice and corporate finance.The city of Bristol is also witnessing the rise of professional accountants; as per the Federation of Small Business (FSB) , in 2013 most of the private sector business in the UK were a small and medium enterprise which raised the demand for professional accountants in the nation. Bristol is also a breeding ground where many SMEs have evolved over a period of time and the number will continue to grow as the time passes by. With so many firms and enterprises growing, the need for managing their financial activities have also boomed leading to the growth of Bristol accountants. Among its peers ,DNS Accountants is a name in the market where excellence is a habit, Our firm is working in the direction of professional accountancy service in Bristol, All the clients barring the fact they are big or small have reaped benefits after their association with DNS Accountants. Our firm is in the phase of expansion & we have catered many clients from different industries and locations like Long Ashton, Kingswood, Mangotsfield, Stoke Gifford, Keynsham, Coventry, Leicester, Bath. DNS Accountants work with equal efficiency for their clients whether they are contractors, freelancers, small business owners etc. If you are looking for an accountants firm in Bristol that will increase the profit of your business, DNS Accountants are the door that you should knock immediately. With the changing times, the functioning of professional accountants firms has undergone a paradigm shift. The accountancy is not mere taxation, credit and debit rather it has become an important pillar of growth when it comes to business strategies and policies. Any decision by the company of small or large size is supported by its finance department. They are the best people who have a better understanding of the financial health of the company and what will be the best for its growth. Outsourcing of accountancy services is one such aspect that companies are inclined to. This is another reason for the growth of professional accounting services in Bristol and has also opened up avenues of job opportunities for accountants in Bristol. The companies are now looking for a person who can handle different phases of finance and that too with an equal efficiency which makes the job of an accountant even more challenging but with firms like DNS Accountants which is an epicentre of professional accountants gives you all kind of support required when it comes to accountancy and financial advisory services. The firm uses state of the art technology when it comes to latest finance software and knowledge. The finance brigade of the firm is well equipped to take on any challenge your firm is facing and they come out with some excellent ideas which will not only benefit your firm but also gives you a new perspective to look at the scenario. The accountancy firms no longer work in the traditional pattern, they have evolved as a hub of intelligent and critical thinking. Heading in the same direction, DNS Accountants covers business support services under its umbrella. They cater to firms of large to small sizes; in fact, they have a special unit that works specifically for freelancers and contractors which make it one of the best accountant firms in Bristol. Moreover, DNS Accountants from time to time invests in IT and other forms of technological advancement to increase their connectivity with clients wherever they are in the UK or any other part of the globe. With a wide array of services provided by DNS Accountants, it is making its way to being one of the best firms having the best-chartered accountants in Bristol. Some of the services provided by them include auto-enrolment, bank account opening, payroll RTI, self-assessment tax returns, tax investigation cover, IPSE membership, management accounts services etc. The fact that Bristol is witnessing increased number of small and medium enterprises, DNS Accountants have some of the finest small business accountants in Bristol who are well aware of the company's act and other aspects of accounting that is important for small businesses growth . DNS Accountants understand that they cannot be omnipresent but they can have their branches, their franchise wing which is also working exceptionally well. Opening a new accountancy firm from scratch can be a tedious and arduous job, so why not get in association with a brand that will give you its name and trust so that you can become your own boss. DNS Accountants franchise system gives you a podium to display your knowledge and gain clients. With your effort and DNS Accountants name, one can easily make their career in this sphere. Although there are many firms that have mushroomed across Bristol but there only a few that give 360-degree support and service. DNS Accountants is a firm that believes in building relation with their clients and not contract. We don’t believe in numbers, for us quality is above quantity. Trust is the most important factor when it comes to accountancy, outsourcing a financial advisory service divulges the financial secrets of your firms so, invest in a place that will treat your company like theirs. If profit is your dream then DNS Accountants will make it come true.